Don’t feel like cooking? 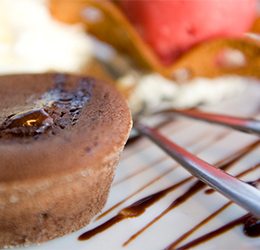 Restaurant De Robbenjager offers an enticing lunch and a marvelous dinner menu. The restaurant quaintly decorated and child friendly. Eat out with the whole gang? No problem, the restaurant seats 80 indoors and accommodates another 100 on the terrace. Sit back and soak up the sun out on the terrace and enjoy the lovely view of the Dunes of the National Park. Tip: Restaurant De Robbenjager is lauded for its scrumptious apple crumb cake. Goes great with a fresh cup of coffee and favorite nip. Restaurant De Robbenjager offers a varied menu with a choice of meat, fish and vegetarian dishes. There is also an extensive lunch menu. 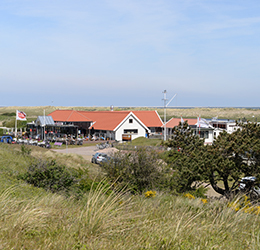 Naturally, you can have glass of wine or try a local Texel’s beer. A long time ago in country not so far away, the restaurant started off as a basic outpost for De Robbenjager. 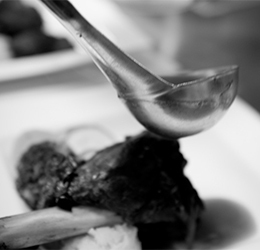 The emphasis is now on locally sourced quality food fused with a Texel’s twist. 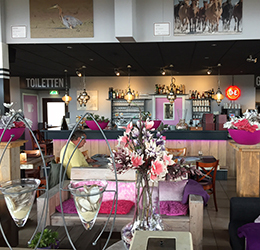 Texel’s specialties such as local lamb highlight the menu. For the correct opening hours of Restaurant De Robbenjager go to the website derobbenjager.nl.